Lexus has unveiled the new LS luxury saloon - its rival to the likes of the Audi A8. It takes on the same sharper styling of the new GS and CT200h with a distinctive front end while Lexus says there are more than 3000 changes following customer feedback. The new generation model goes on sale later this year with prices expected to start at around £65,000. 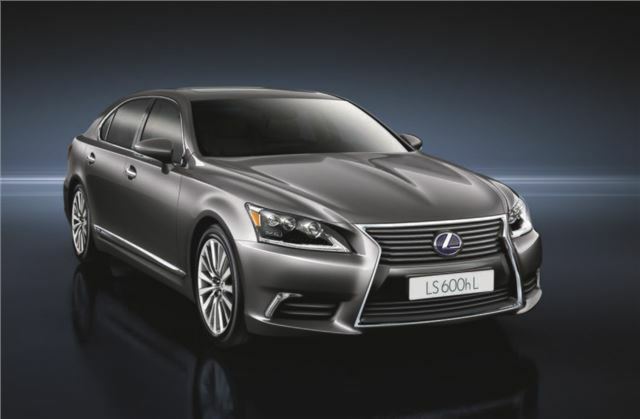 The new LS line up will have two models - the LS 460 and the hybrid LS 600h - plus there will be an LS 460 F Sport version. This gets a lower ride height, uprated brakes and paddle shifts along with a limited slip differential to improve traction in corners. Lexus says it has worked to improve handling on all versions with an increase in body rigidity. The new LS also gets Adaptive Variable Suspension designed to minimise body roll at all four wheels simultaneously along with revisions to the steering to improve responsiveness. A new Drive Mode Select system is standard which has five different modes - Eco, Comfort,Normal, Sport S and Sport S+. Of course the LS has always been famed for its refinement and Lexus has made further improvements to minimise engine, wind and road noise with better sound insulation plus new hollow chamber noise reduction wheels, which cut cabin noise. Like other Lexus models, the LS has the Remote Touch Interface which controls the infotainment systems, via a 12.3-inch multimedia display. All UK versions will be fitted with a 19-speaker Mark Levinson Reference Surround System and the rear seat entertainment system has been upgraded to include a Blu-Ray disc player.